The Original Celebrity Homes Tour, Since 1935! The original Celebrity Homes Tour Since 1935! Hollywood's top-rated Celebrity Stars homes Tour. Accept no imitations! With more celebrity sightings than any other Hollywood homes tour, the fun starts here! Ellen's Hidden Camera Prank on our Hollywood Star's Homes Tour! Along your journey, you’ll also get to see the homes of current and past stars. Every year, millions of visitors come to Los Angeles, many of them with hopes of spotting a celebrity or movie star. At Starline Tours, we've created Hollywood stars' and celebrity homes tour that deliver a fascinating look at how the "other half" lives while giving you the best chance to spot a famous name in the flesh! We offer Hollywood's top-rated celebrity home tours, led by engaging, expert guides who share fascinating insights and entertaining narration during your outing. In addition to showcasing the glamorous and exclusive properties of legendary neighborhoods and districts in Beverly Hills and the Hollywood Hills, our excursions also highlight popular celebrity hangouts and hotspots along the world-famous Sunset Strip and Rodeo Drive in fashionable Beverly Hills. Our Hollywood homes tour leads you through the city's most iconic landmarks aboard comfortable 13-passenger buses. There are many, many more, so be sure to bring your camera. You never know who you might spot during your tour! Our storied history dates back to 1935, when we became the first company in Los Angeles to offer celebrity home tours. It all started in 1935, when an intrepid chauffeur got the idea to put together organized trips for tourists who wanted to see the homes of the era's famous movie stars. A lot has changed in Los Angeles in the 80-plus years since we launched our operations, but our motto has stayed the same: at Starline Tours, the fun starts here! 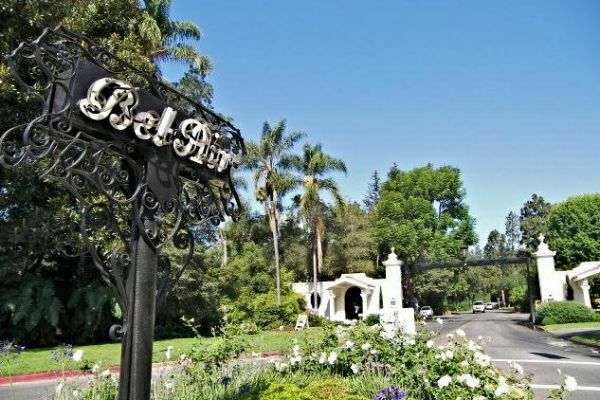 Our movie star homes tours guide you past the residences of some of the most famous names in the entertainment industry. All the while, our guides share historical tidbits and anecdotes that bring these exclusive neighborhoods to life like nothing else. Your trip also includes a stop on Mulholland Drive, where you can enjoy a panoramic vista of Los Angeles, and we're also pleased to highlight iconic landmarks including the Hollywood sign and the Hollywood Walk of Fame, among others. 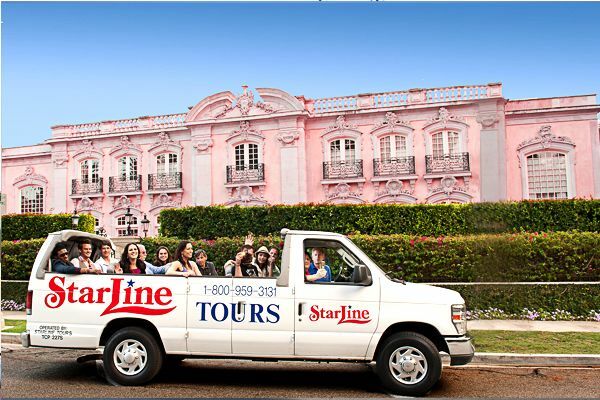 Customers who book through our website can take advantage of special online offers, or you can complete your booking by calling Starline Tours at 1-800-959-3131 or (+1) 323-463-3333. Read on for further details. Universal Studios OR Warner Bros. Studios.